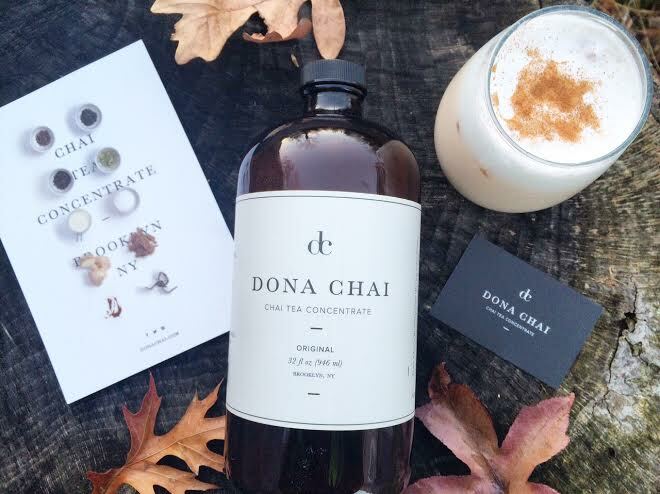 DONA CHAI, a bottled chai concentrate created in Brooklyn that is becoming popular in local NYC cafes. It’s a rich, concentrated blend of cinnamon, cardamom, cold-pressed ginger, black tea, black pepper, vanilla bean, cloves, pure cane sugar & molasses. I am obsessed. Each batch begins with whole spices ground fresh to maximize flavor. The slow brewing process & steeping in small batches ensures the best, most powerful flavor possible. It’s fresh, the flavors are so well balanced and it mixes perfect with milk. I’ve been drinking it every single morning for the past 2 weeks and the bottle still has a decent amount left! I mix 1 part Dona Chai to one part milk (usually about 1/2 cup each) and top with whipped cream and a dash of cinnamon. Amazing!